Your Eyewear Image Expert – Serving the be spectacled men and women in the Greater Toronto and Ottawa areas! Serving the be spectacled men and women in the Greater Toronto and Ottawa areas! Perceptions Eyewear is all about customer service, and we’ve grown thanks to our customers’ referrals. We have helped clients use glasses to move into their next promotion, help brand their businesses, get the next interview (and ultimately the next job) – and we’ve even helped individuals to meet their next date! Whatever the occasion, our mobile optical services can make a difference. Here are just a few of our clients, sharing what they liked best about working with us. 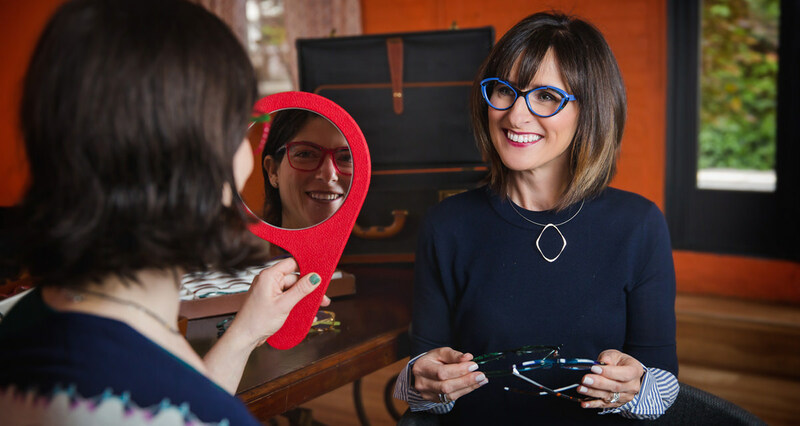 Wendy is my Eyewear Expert and has helped me transform my look in eyewear for 10 years. I absolutely include her as an essential resource in my business success toolbox and my personal confidence code. Oh my gosh yesterday was so much fun for me…. A whole hour dedicated just to me focusing on me! What a rare treat and I loved what we picked. Wendy Buchanan has a great sense of what glasses will suit your lifestyle and your professional life. Her frame selection is excellent, unique and stylish, and her mobile service is professional and convenient. I never knew my glasses would become so important in making me stand out, but they actually helped me attract my future wife! She first tracked me down by asking, “Who’s the guy in the cool glasses? As a professional in the Advertising and Marketing Industry, I take creative liberties matching my outfits to the numerous pairs of prescription eyewear that I have amassed with the help of Wendy Buchanan. Needless to say, people look to see and often comment how my eyewear complements my outfit! Copyright © 2019 · Perceptions Eyewear Inc.